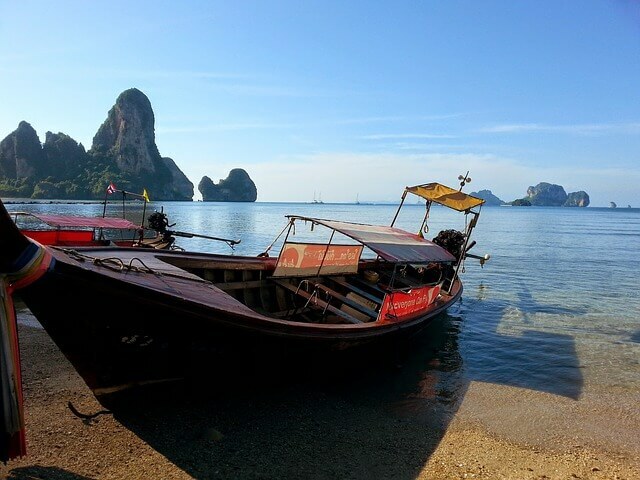 For fans of Alex Garland’s iconic travel novel, The Beach, Southern Thailand is a playground. So many beautiful islands and beaches, including the one that allegedly inspired the book, Maya Bay in Koh Phi Phi. These days it’s getting harder and harder to find the undiscovered gem, a hidden treasure that no one has plundered. However, that didn’t deter Kartik, a Travel Blogger from India, who decided to follow in the footsteps of Alex Garland and recreate the trail with 2 of his friends. The post I’m linking to is the first of a four post series (the links to the others are at the end of his post) and each part has a video documentary narrative of the documentary. I’ll let Kartik explain further. Part one talks about how to get from Chennai to Koh Phangan. So find out more and enjoy his adventures following one of the most iconic travel books ever written: Following the beach trail in 2017.